CARPINTERIA, CALIFORNIA (USA). Agilent inspires and supports discoveries that advance the quality of life. We provide life science, diagnostic and applied market laboratories worldwide with instruments, services, consumables, applications and expertise. Agilent enables customers to gain the answers and insights they seek ---- so they can do what they do best: improve the world around us. Information about Agilent is available at www.agilent.com . Anatomic pathologist responsible for providing input to scientific staff in development of novel assays that meet customer needs, including assay performance to the desired and expected sensitivity, cut-off determination and scoring guidelines. Trains external pathologists, including pharmaceutical partners, scientific advisory boards and key opinion leaders. Contributes to marketing materials relevant to the clinical utility of the assay. Uses network of professionals in the field to secure and procure tissue specimens for testing. • Two years relevant scientific experience including immunohistochemistry, cytology, in situ hybridization and other pathology laboratory or molecular techniques. • Demonstrated record of accomplishments including relevant work history in academic, private practice, or commercial environment. • Strong interpersonal and communication skills with the ability to effectively communicate with individuals at all levels in the Agilent organization, Pharma partners, FDA, and commercial clients. • Presentation skills for Advisory Boards and meetings. LOS ANGELES, CALIFORNIA (USA). A community hospital based pathology group in the San Fernando Valley area of Los Angeles is seeking a full-time or part time AP/CP board-certified Pathologist. Strong general surgical pathology (including non-gyn cytology) skills are required, as well as experience/proficiency in general clinical pathology areas (peripheral blood smear review, transfusion reaction workup, etc.). Fellowship training in general surgical pathology (other surgical pathology subspecialty) and/or experience is a plus. A California license is required. LOS ANGELES, CALIFORNIA (USA). Los Angeles metropolitan area hospital based Pathology Group is seeking an experienced pathology assistant to perform surgical pathology grossing on a part time to full time basis. Applicant must have training and experience for gross examinations as specified under CLIA regulations. MODESTO, CALIFORNIA (USA). Yosemite Pathology Medical Group, located in Northern Central California, is seeking a Pathologist for a full-time position. Comprised of twenty-three (23) Board Certified pathologists, we are a general anatomic pathology specialty practice with board certified sub specialties in dermatopathology, cytopathology, molecular pathology, and hematopathology. Services have been provided to hospitals and physicians throughout Central and Northern California since 1948. The successful candidate must be an experienced pathologist with 3-5 years of experience in a hospital setting and clinical lab experience or training. The candidate will be General Surgical Pathologist that is AP/CP Board Certified. Ideally, this candidate would be available to start as soon as possible. As a prerequisite for hiring, the candidate must have a California Medical License (or in the process of obtaining one) and will be board certified in Anatomic Pathology and Clinical Pathology. Compensation is highly competitive and commensurate with experience. Benefits (i.e. Travel reimbursement, 401(k) plan, and medical reimbursement) are superlative. Permanent residence within thirty (30) minutes of the Modesto area will be required. Relocation and signing bonus package are negotiable. The successful candidate must be an experienced pathologist with 3-5 years of experience in a hospital setting and clinical lab experience or training. Dermatophathology experience is preferred. Ideally, this candidate would be available to start as soon as possible. SAN DIEGO, CALIFORNIA (USA). 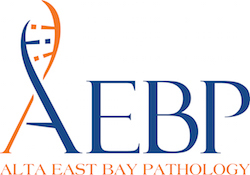 San Diego Pathologists Medical Group is seeking a full time AP/CP/HP board - certified/eligible pathologist to join our private practice, pathologist owned group. The position includes general Anatomic Pathology and Hematopathology practice in both hospital and outpatient settings. Experience with interpretation of immunohistochemistry, flow cytometry and FISH studies is essential. Candidates must be eligible to work in the US and must hold or be able to obtain an active California medical license. The group offers an attractive benefits package. San Diego and the Southern California region offer diverse cultural amenities and recreational activities. Interested candidates should forward their curriculum vitae to hr@sdpath.com. SAN FRANCISCO, CALIFORNIA (USA). Invitae is a rapidly growing, technology-driven company located in San Francisco. Our mission is to empower doctors and patients to use genetic information to make informed medical decisions at all life stages. Our Medical Affairs team plays a key role in driving expansion of our genomic platform capabilities. Invitae values diversity and provide equal employment opportunities (EEO) to all employees and applicants without regard to race, color, religion, national origin, gender, sexual orientation, age, marital status, veteran status, or disability status. SAN FRANCISCO, CALIFORNIA (USA). The Department of Pathology at the University of California San Francisco is seeking outstanding candidates for a full-time faculty position with clinical service responsibilities primarily in Cytopathology who will function as a Clinical Instructor in the Health Sciences Clinical series. This position is based in the Department of Pathology at the UCSF campuses. Candidates must have an MD degree (or MD equivalent), licensed to practice in California (or have obtained one by the time of appointment), and be Board Certified (or eligible at the time of hire) in Anatomic Pathology, and additional certification in Cytopathology (or eligible at the time of appointment). The individual will be expected to participate in the cytopathology service, night and weekend surgical pathology call, departmental teaching activities for medical students, house-staff and fellows, and interdepartmental conferences. She/he will be encouraged to participate in clinical and/or translational research. Applicants should submit a curriculum vitae, cover letter, statement of research, statement of teaching, statement of contribution to diversity and the names and contact information of three references within one month of the appearance of this announcement to: https://apptrkr.com/1409054. SOUTH LAKE TAHOE, CALIFORNIA (USA). The Department of Pathology at the University of Nevada, Reno School of Medicine and Barton Health in South Lake Tahoe have entered into an exciting new partnership, which includes laboratory and clinical pathology services in South Lake Tahoe. Due to this new partnership, we are inviting applications for a physician leader who can develop, coordinate and supervise the medical services for the Pathology Department at Barton Health (Director of Lab Medicine), while employed as a faculty member of UNR Med and overseeing training of medical students and residents. Duties include quality initiative improvements, core measures, performance indicators, care transfers and development of department guidelines. This will be a leadership position and will also manage the department budget, operations, scheduling and teaching rotations. This position will be located full time in South Lake Tahoe. Board certification in Anatomic or Clinical Pathology, MD, DO or equivalent with sub-specialty. Eligible for unrestricted Nevada and California Medical Licenses plus malpractice and credentialing requirements. 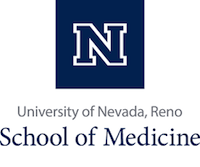 The University of Nevada, Reno School of Medicine is an inclusive and engaged community. We recognize that diverse faculty and leaders add value to the educational experience and promote excellence in our teaching, patient care, and research missions. We seek applications from candidates with diverse backgrounds and experiences who can contribute to our mission and uphold our core values. The School of Medicine has statewide outreach with a local touch providing patient care, health services, and training physicians in Reno, Nevada and in the state's rural communities. We seek to create an environment that serves all who enter our doors, from the physicians who teach our learners to our employees and patients, whose health we seek to improve. SYLMAR, CALIFORNIA (USA). The Department of Pathology of Olive View - UCLA Medical Center invites applications for the position of Chief of Pathology at a 377-bed teaching hospital in the Los Angeles metropolitan area. This full-time, leadership position includes a faculty appointment with the affiliated David Geffen School of Medicine at UCLA, at a rank commensurate with experience and academic activity. The successful candidate will work collaboratively with key stakeholders and the administrative leadership of the hospital to provide oversight to all clinical and laboratory activities. Through their broad vision and expertise, the Chief of Pathology will identify opportunities to enhance services and improve performance while serving as a mentor to junior faculty, resident physicians, and fellows. The ideal candidate will hold board certification in anatomic and clinical pathology, and possess a demonstrated commitment to excellence in graduate medical education and patient care. Advanced clinical expertise in anatomic pathology and general surgical pathology, and participation in AP service coverage is required. Applicants must be eligible for licensure in California. Equal Opportunity Employer. or via electronic mail to ovlib@ucla.edu.